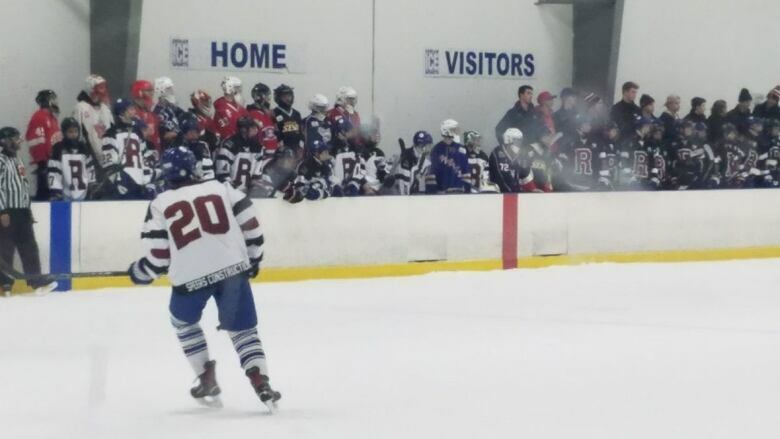 In Toronto's high-stakes, ultra-competitive world of minor hockey, there are few things that actually bring people together. But, sadly, that's just what the death of 15-year-old Roy Pejcinovski has done. Pejcinovski was the star goalie on Toronto's top Bantam AAA team — the Don Mills Flyers. It was, of course, too early to project what he might have gone on to achieve in the game, but he was a player with recognized potential, his hockey future at his feet. 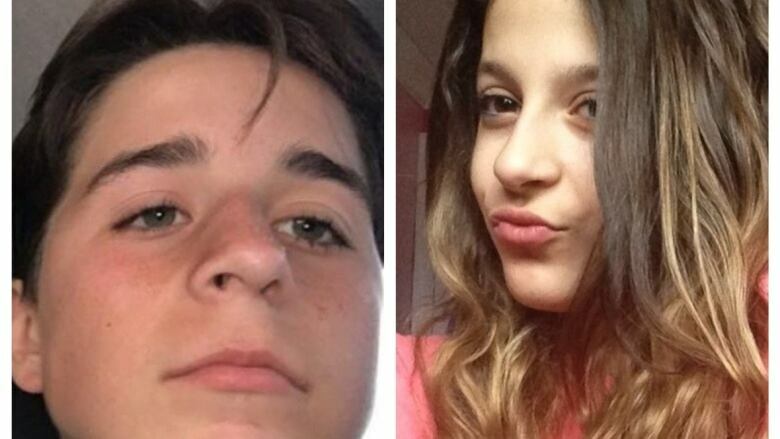 Roy, his 13-year-old sister Venallia and their mother, Krassimira, were buried this weekend and hundreds mourned them at a Toronto church. Many in the building came from the hockey community that was so central in Roy's life. "We saw him the night before," said Mark Cohen, whose son had faced Roy on the ice many times over the years. "We saw Roy walking out of the arena … great boy, great family, a great father." "We play each other in the arena. There may be fierceness, but off the ice, they're all buddies," Cohen told reporters at the funeral. Ten days ago, police say, the three family members were murdered by Cory Fenn, who had been in a relationship with Krassimira. Fenn is not the father of the children and did not live with the family. A third child, 16-year-old Victoria, was not home at the time of the attack. The children's father, Vas, and Krassimira were no longer together. Since the tragedy, Roy's teenage teammates have not made any public statements, but their actions are a testament to their courage and a reflection of the respect and admiration they carry for their fallen teammate. Days after Roy was killed, the Flyers were slated to play a game in their Greater Toronto Hockey League championship series against the Toronto Marlboros, one of their fiercest rivals. Instead, the two teams played a friendly game, blending their rosters together and wearing jerseys with the letter "R" on the chest. For the entire game, the scoreboard displayed 7-4, a tribute to Roy's jersey number, 74. Behind the teams' benches sat goalies from across the GTHL — a show of support and solidarity. A few days later, Don Mills won the series, qualifying for the provincial championships in early April. Roy's death has been marked on the Don Mills Flyers' Twitter account. The focus has been on quiet tributes and the difficult task of continuing the team's championship season. But the outpouring of grief and action from the greater hockey community has been constant. In the days after the killing, four separate GoFundMe campaigns were launched to help support the family. To date, more than $180,000 has been raised, greatly exceeding the campaigns' goals. But it's the comments that accompany many of the donations that show how deep this tragedy has resonated in the hockey community. Many had never met Roy or his family but instead are part of an anonymous hockey fraternity united by their love of the game and mutual understanding of the sacrifices needed to participate. "Our most heartfelt condolences to the Pejcinovski family, in particular Vas and Victoria. We have never met you, however we are also hockey parents (and parents in general) and have been following this tragedy in the news. Our hearts go out to you," wrote Daniela Santomaggio-Santana. "We do not know the Pejcinovski family, but we are a part of the hockey community and would like to contribute. Our deepest condolences go out to the Pejcinovski family," read a message from the Ortiz family. The Chiddenton family also made a donation and passed on "deepest sympathies to the Pejcinovski family. Know that Roy will forever live in the hearts of his teammates and his opponents, as they are all part of a united hockey family," the message read. "When I shared this story with my eight-year-old, he had a lot of questions and couldn't understand why or how this could happen," wrote Ryan Milnes. "From one hockey family to another, God bless." Some of the donations came from rival teams and organizations. Cameron Smith passed on condolences "from all the other goalies in the league." Many of the donations were from younger teams and players who never played against Roy. Others came from men's league teams and from pickup games, whose players had been touched by Roy's story. Professional players have also been touched by this story. Toronto Maple Leafs forward Mitch Marner, a former Don Mills Flyer, has been supportive of the fundraising efforts. Toronto Marlies goalie Garret Sparks had the same goalie coach, Piero Greco, as Roy. "Between me and [Greco], we are just devastated by the loss," Sparks told reporters on the weekend. "He said something to me prior to the game today about going out and doing it for Roy and that's something that just resonated with me. "He's a kid who put in a ton of work, loved what he did and never got an opportunity to get to this point."